Hey, guys! My run to the PC was successful, but I won't have totals up for everybody until tomorrow. I spent literally all afternoon and evening getting everybody's packages packed up and ready to go, and I didn't have time to get through weighing all of them afterward. I'll have the list up tomorrow, though! Sorry to post so closely together! But! I have 35 34 33 metal figures to go! Until I have the entire original 151! If you can help me I will be sooooooo thankful you have no idea!!! I'd like to pay around maybe $35/ish shipped? I've seen them for around that price here on the comm, so. ^^; I also do partial trades, and I have some Kanto starter items and/or an Umbreon jakks that I'd practically throw at you for him! Big Toy Factory Plush Pics! They both have found new homes - as much as I wanted to keep them I couldn't fit all three of them in my room (I have decided to keep the giant Pikachu). 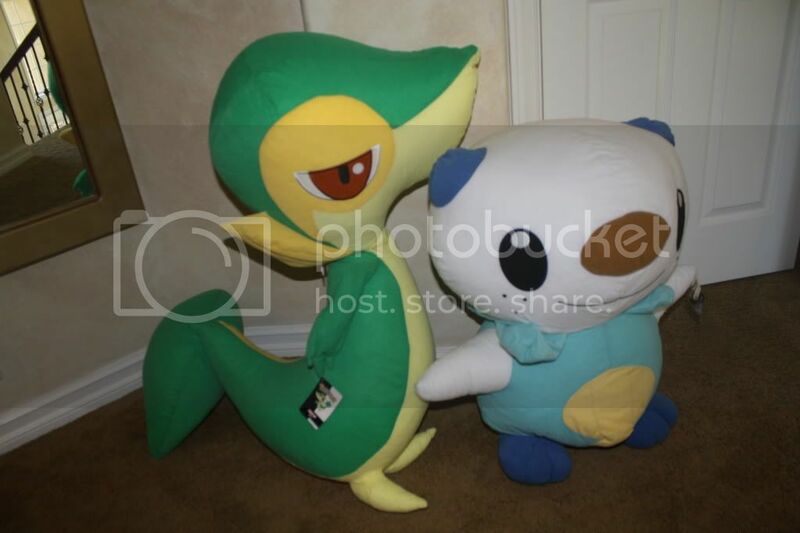 The Snivy has already been shipped out to its new owner, but if anybody wants more pics of Oshawott, he won't be shipped for about another week so feel free to ask and I will take some better pics. From our Nasija GA 3, there are still a lot of people that didn't pay for shipping for the Nasija GA 3, that includes azourus, babycinnamon07, chaosoftwilight, gengareric, mandysaurus_rex, shastina4ever, shinykamon, and sugar0coated. And now I have a few wants! I could slowly call this chopstick holder my grail, because I haven't seen it anywhere in months or well, since I have joined this comm January 2011, not to mention that I came too late to purchase one on a sales post yesterday..anybody who would be willing to give him up, do let me know please (or even if you find one on eBay or YJ)! I would love to have this version of Snivy charm, the one with Pikachu and Snivy riding on Wailord. 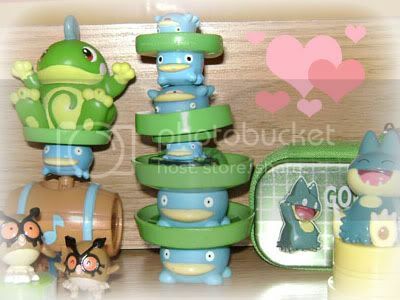 I own the other one, where Snivy is holding the basket of berries. Would prefer MIP. And also searchign high and low for these Mantyke line TCGs! And lastly, a question! I came accross 3 different Snivy plushies that I have never seen before, so I was wondering, if they are real or booties? I have recently found out that YJ started to sell booties as well, so that's why it makes me wonder. ALSO CALLING truxor ! I DID NOT RECEIVE PAYMENT ONE FROM YOU, SO PLEASE CONTACT ME AND/OR PAY WITHIN THE NEXT 24 HOURS. Cheren now up for grabs! Shipping is from AUSTRALIA, and starts at $1.20 internally, and $5 internationally. Hey guys! I'm looking for the Mcdonalds Dwebble card, and i was wondering if there were any Crustle holos? If anyone on here could sell to me, I'd gladly appreciate it! I'm slowly trying to get my collection all photographed and set up, rearranging and editing photos while weeding some things out. I have a few smaller things I haven't photographed, but up for offers today is a super adorable Slowpoke pokedoll by the talented xSystem! Just a boring old question post... I'm sure many of you would be inclined to answer! Flat Rate Shipping for Canada - Have you ever used it? Yes/No? Do members feel discouraged if others say "I only ship to..."
TCG - do you collect? Do you belong to other pokemon communities? Do you like posts without pictures? Unrelated but do you get annoyed when sitting in a quiet room and someone is eating CHIPS! OH THE SOUND OF THE CRUNCHING ON THEM IS ANNOYINGINGIGNIGNG! BONUS QUESTION: If you are an eeveelution collector, would a graded Karen's Umbreon or Annie's Espeon interest you? A while back I opened commissions for Pokemon hair clips and I've decided to open them again. Photos and Pikachu crochet plush for sale under the cut! EDIT: ALL THREE SLOTS are still empty! Come on guys!! I come with an inquiry about the life-sized Minccino plush that I own. I haven't the slightest idea why I am asking now, since it's been such a long time since I ordered her: I bought her from Amazon during September of last year, and she came without the proper tag: just a plain white one with a sticker of the Japanese name of the plush and a bar code, not the one that resembles a Poke Ball and with her art. This was immediately suspicious to me, but I also noticed that her tush tag reads '© 2010 Pokemon'. I find this peculiar since the plush was released in February 2011. Furthermore, her eyes seem to be a bit too close together. I thought that I would be safe in purchasing from Amazon since I have bought Pokemon merchandise from there that has been official, but I'm afraid I picked up a factory reject. Would anyone who owns the life-sized Minccino please look at the copyright date on the tush tag and tell me what it is supposed to say? Secondly, has anyone ever had any issues regarding factory rejects on Amazon before? Mark's summer pick up results/totals! Everyone's totals are ready! I managed to pick up most things people wanted, with a few exceptions. Totals and info are under the cut! Looking for a co-runner for an auction of kids and 3 lush- PM me if you're interested : 3 I can do either- sales permission was granted to me by Denkimouse in April, i believe in 2011. Note: The sticky post about the current situation is remaining so everyone knows what to do, please do continue to follow the instructions if dealing with the member, but don't feel too worried as it is being solved calmly :) Thank you all so much for all cooperation and patience. Anyways....the summer 2012 PKMNcollectors Japan meetup begins!! Time to go to sleep for Tiny the not at all tiny sucky... :) More Pokemons to greet tomorrow! Lots to do! He's plum tuckered! Thanks as always, my comrades in monsters! I've also got 2 small things for sale! Well today was my birthday which means I spent the last month treating myself to ALL THE THINGS! Ok, not -all- the things, but pretty close! I guess since it's been just over a year since my very first post I should do a reintro. I focus on collecting plush, kids, zukan and charms. 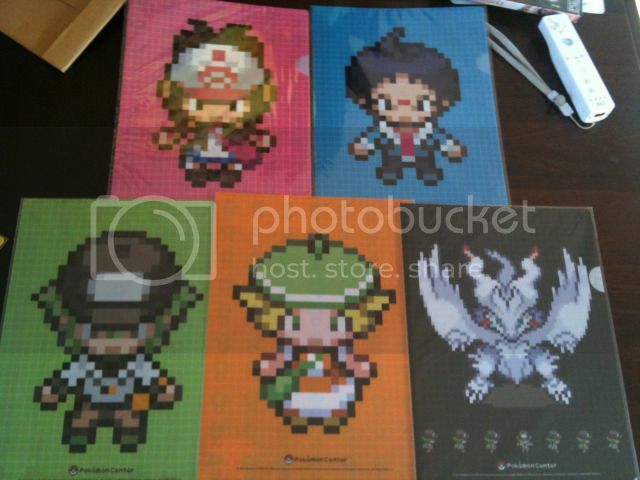 I also love the anime and games, pokepark and ranger games being my favorites! Check out my full collection under the cut! Lowered prices + added a few things, including 31cm Lugia plush, Oshawott dream charm, & Buneary zukan!